The use of aesthetic non surgical treatments. The aesthetic procedures focus on the use of collagen stimulation or regeneration principles (skin resurfacing). 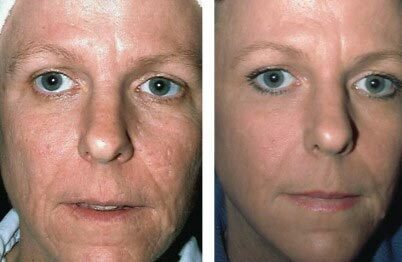 This is done using lasers, voltaic plasma, micro-needling, hyaluronic acid injections, cosmetic peels etc. The use of minor surgical procedures. These procedures focus on reconstructing the missing part of the skin caused by the acne or injury that produced the atrophic scars in the first place. In cases of very deep scars the best results are achieved by combining Surgical reconstruction followed by non surgical skin resurfacing (including cosmetic peels). BeautyTeck Mild depressed scars are easily treated with the BeautyTeck. It takes number of sessions in order to improve the appearance of shallow acne scars to a satisfactory level. On average it can take three to four sessions to fade most acne, chicken pox and shallow atrophic scars. However, the number of sessions required depends on the type of atrophic scars (in particular how depressed or deep they are). 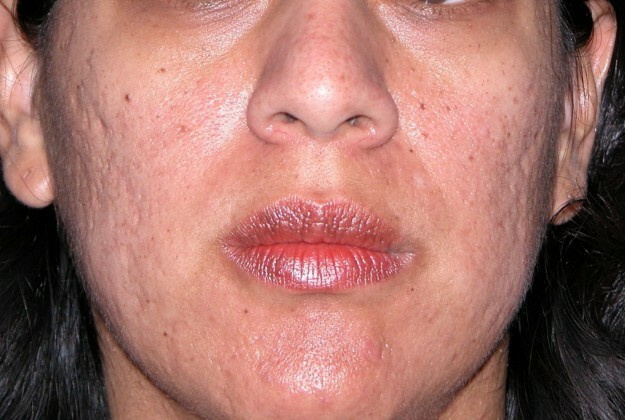 The deeper the atrophic scars are the more difficult to improve their appearance by using this technique. In the video below you can appreciate how easily the procedure is on shallow acne scars. As seen in the video above, this type of treatment with the BeautyTeck is very simple and it is suitable to improve the appearance of shallow acne or chickenpox scars. Topical numbing cream may be used before starting the procedure to achieve maximum comfort for the client during this aesthetic procedure. The treatment lasts between 10 to 15 minutes according to the area to be covered. Downtime is ranges between 3 to 4 days. A slight improvement after each session is generally noticeable. On average 5 to 6 sessions are required in order to achieve satisfactory improvements. This is a safe aesthetic procedure which does not involves surgery. This aesthetic procedure is also highly recommended for localised skin tightening and skin resurfacing after surgery to improve the appearance of medium, deep and ice pick scars. Click here to learn more about the surgical options. Localised skin grafting. This is a technique where a small part of the skin elsewhere from the body (typically from behind the ear) is implanted into the “hole” of the scar to fill it. Both subsicion. This is a minor and simple surgical procedure which elevates the depressed area of the deep scar. After the area has recovered the skin resurfacing and skin tightening using the electrical plasma of the BeutyTeck can be used to fine tune the result improve the appearance of those minor imperfections still left after the cosmetic surgery. Representative dramatic results of combined minor cosmetic surgery and skin resurfacing/tightening.